Grace Church, Osceola, Ind., a Grace Brethren congregation led by Greg Serafino, will dedicate their new facility on Sunday, February 12. The $2,225,000 project was accomplished debt-free and with reserves for the parking lot that will be finished in the spring, according to Pastor Greg Serafino. According to Serafino, the church previously had three connected buildings totaling 38,000 square feet. 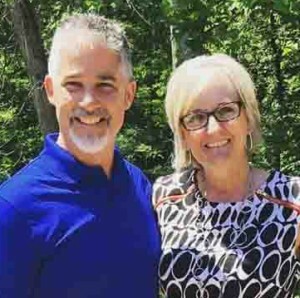 “Our plan was to renovate,” he said, “and the more we talked, it kept getting more expensive to renovate the current square footage.” They decided to tear down the existing facilities except the 100-by-100-foot steel building that served as their Worship Center and start over. 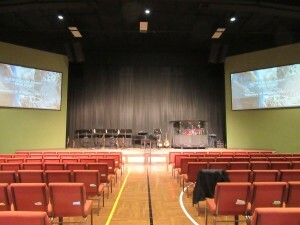 For a year, they moved worship services into a different portion of the building while the Worship Center was renovated and additional facilities were constructed. Ultimately, the former Worship Center was transformed into a commons area, a playground, a reception area, and the Worship Center. Two 75-by-100-foot wings were added to the north and to the south. The south wing is dedicated space for children’s ministries. The north wing houses a large youth room, a new kitchen, five Adult Bible Fellowship rooms, a ministry called Michiana Biblical Counseling Center, and the church offices. “We are excited about how God has used all of this to touch so many lives already,” he concluded. The project was aptly named, “Growing to Glorify,” and followed the theme verse of 2 Peter 3:18: But grow in the grace and knowledge of our Lord and Savior Jesus Christ. To him be the glory both now and to the day of eternity. I just read the article in Grace Connect about your new building and the funds associated with it. How very exciting to watch God work! It does my heart good to see Cari as the pastor's wife at this obviously vibrant church! I was an Operation Barnabas leader with Cari several (HA!) years ago. Ministry seeds planted then are certainly growing nicely! Thanks be to God!